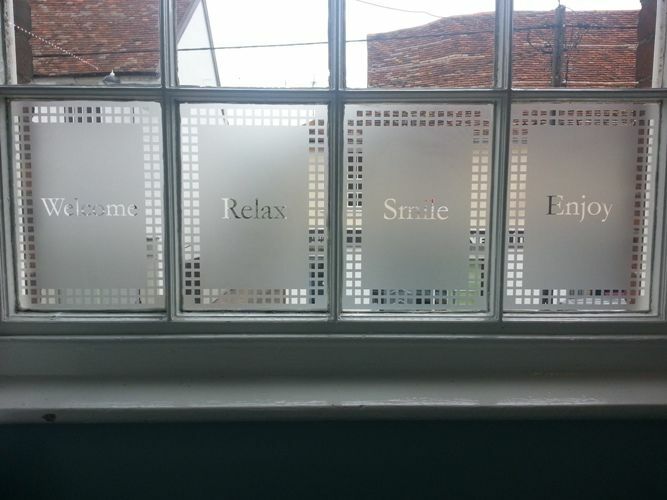 Glass or glazing manifestation can help your business meet safety requirements and comply with building regulations. 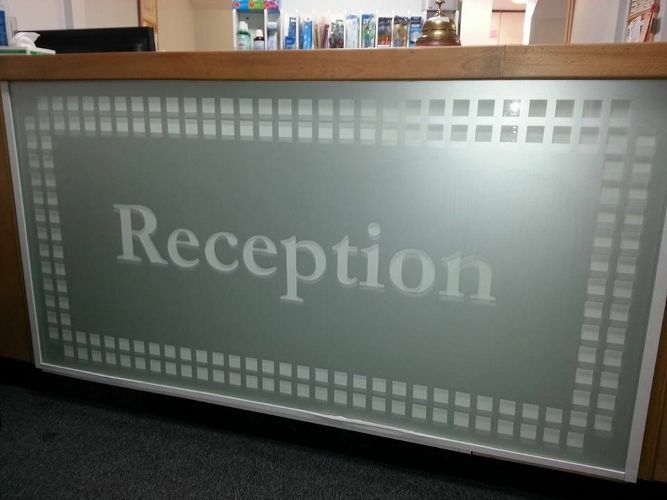 Large transparent area’s of glass such as full height glass partitions, window glazing and glass doors need to be appropriately marked to prevent staff and visitors from accidentally walking into them. 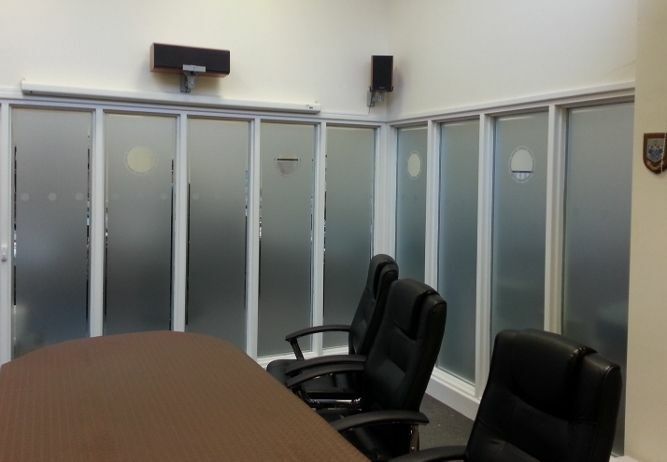 In line with the Building Regulations this can be accomplished with simple frost manifestations installed on the glass by way of marking the glass and making it more visible. Manifestations can be as simple as having 2 rows of dots or squares at the required height or it could be your logo or just a line. 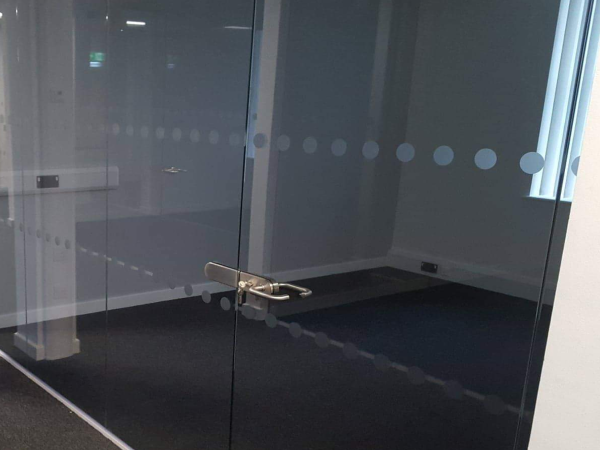 As long as it is clear there is glass present to avoid accidents it can be anything you want to make your business identifiable and enhancing the appearance of your company premises. Building Regulations 2000: Document M Building Regulations, cover the safety of glazing. 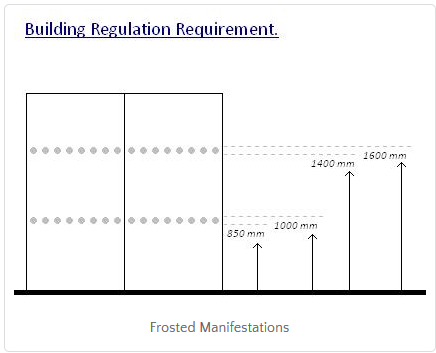 They state that manifestation must be applied to glazing in “critical locations” to increase its visibility and reduce the potential for human impact. If you want something a little bit different for your office or home, we can help you. We will design, manufacture and install to take the hassle out of the job for you. Either send us the artwork, or explain what you want. We will send the artwork back to you for approval and then we’ll send it to the cutting machine. It couldn’t be more simple to really customize your glazing! We can either cut your logos or designs out of the solid frosted film, so that they are in affect the clear part of the glass, or have the patterns and design cut out of frosted film and have them installed onto the glass, so it looks as if it has been etched into the glass. We can also cut coloured vinyl film and come up with cost effective patterns and designs to suit all tastes for a truly bespoke finish. So please take this opportunity to call or email us, as our product line and knowledge will ensure you have the right Frosted Window Film and Decorative Graphic to suit your specific needs.